Techno wizard Cari Lekebusch started collecting records at the age of 10, started taping & looping with records from late 70's & early 80's. Slowly grew into a "dj" after throwing own partys in the late 80's - early 90's. Lekebusch started to collect his first electronic instruments during the same period, creating his own studio now known as the Hybrid HQ studio. "Nothing has kept me in the industry, the point is to change it. I've been having good fortune, never any really odd experiences, making music, if not djing ...... " Lekebusch performs internationaly, USA, Japan, UK, Germany, Italy, Spain, France, Scandinavia & Eastern Europe. 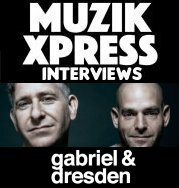 He owns several record labels, primarily Hybrid Productions, DJUPT for housier releases, and Audio Mechanixc.